Howdy ho, Henrinites, and welcome to Day 4 of 31 Days of Wrestling, SmarkHenry.ph’s holiday special. Today, we bring you an instant classic of a match from one of the most innovative promotions in the world of wrestling, Lucha Underground. This was a matchup that built on the trope of life and death. Mil Muertes was billed as the Man of a Thousand Deaths and was pretty much the human embodiment of death itself. You could say he's a luchador version of the Undertaker, and I won't fault you for it. Like Taker and his urn, Milly also has an object from which he draws his power in that rock that his on-again, off-again valet Catrina (formerly known as Maxine from NXT) would hold. Meanwhile, Fenix would go on to challenge the idea of Mil Muertes and death looming over everyone's shoulder because like a phoenix, which resurrects each time it dies, this guy represents life. Fenix was the first wrestler to have defeated Mil Muertes in Lucha Underground, which sparked this rivalry. Throughout the course of their program, Catrina would attempt to seduce Fenix, eventually earning the ire of Muertes who would turn on her. Fenix would save Catrina and defend her from Milly, thus making Catrina Fenix's valet. This all culminated in the Grave Consequences match, which we are all more familiar with as a Casket Match. Interestingly, the name Catrina is derived from La Calavera Catrina, a famous Mexican image featuring a female skeleton wearing nothing but a hat akin to what the upper class Europeans would wear in the early 20th century. The image is a satire of Mexican natives who tried so hard to be like the European aristocrats of that era. Think Doña Victorina from Noli Me Tangere. Over time, La Calavera Catrina became an icon of the Mexican holiday Día de Muertos, or Day of the Dead. It's particularly creepy and jarring seeing the men and women bringing in the casket wearing calaveras makeup, which made for a great touch since most wrestling fans will have already been desensitized by seeing druids bringing caskets in to the arena in WWE. As these costumed folks bring in the casket, Vampiro dutifully gives the viewer a background behind the Day of the Dead and its significance to Mexican culture, which is something to be appreciated because it grounds the supernatural aspect of this match. As a whole, this match was everything you'd expect and more out of a blowoff match in Lucha Underground. It was brutal from the get-go, with Fenix just taking it to Mil Muertes before the bell even rang. The violence was top-notch and Milly didn't spare Fenix from his wrath at all as the latter saw his mask get ripped early on, exposing his bloodied face. They also took it to the crowd, going all around the arena in Boyle Heights, much to the delight of the Temple's Believers. This match mattered in 2015 because it encapsulated what Lucha Underground was all about. 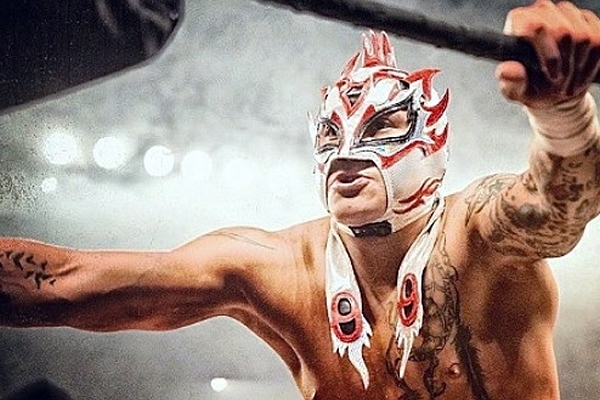 For a promotion that was just beginning to build momentum and draw attention, LU had already made a name for itself by introducing lucha libre to a mainstream American audience in an innovative fashion. Lucha Underground didn't bill itself as a wrestling promotion, but rather, as a television drama about a wrestling promotion. That made the supernatural elements—a staple in pro wrestling, and yet endemic to LU because of its ties to Mexican history and culture—fit seamlessly into its fabric. Through the last quarter of 2014 until Ultima Lucha in August 2015, Lucha Underground was one of the best alternative sources of wrestling goodness for anyone who wanted to watch something different. It helped that there were familiar faces to WWE fans like Johnny Mundo (formerly John Morrison) and Alberto El Patron (but you already know him *wink*). But it was amazing to be introduced to the likes of Prince Puma, Fenix, Angelico, Cage, the Mack, and all the other AAA/indy guys who made Lucha Underground such a joy to watch. 2015 will go down in the books as a great year for the wrestling industry, and Lucha Underground played a huge part in that. We at the Smark Henry offices are stoked for Season 2 of LU, and 2016 could not come any sooner! In the meantime, we'll be highlighting more goodies from the Temple because Grave Consequences is just one of the many delights we got out of Boyle Heights. Hang in there, Believers.